The formula on these is very good. They're thick but easy to control, and completely, 100% opaque in just one coat. In fact, they look better at one coat than they do at two. 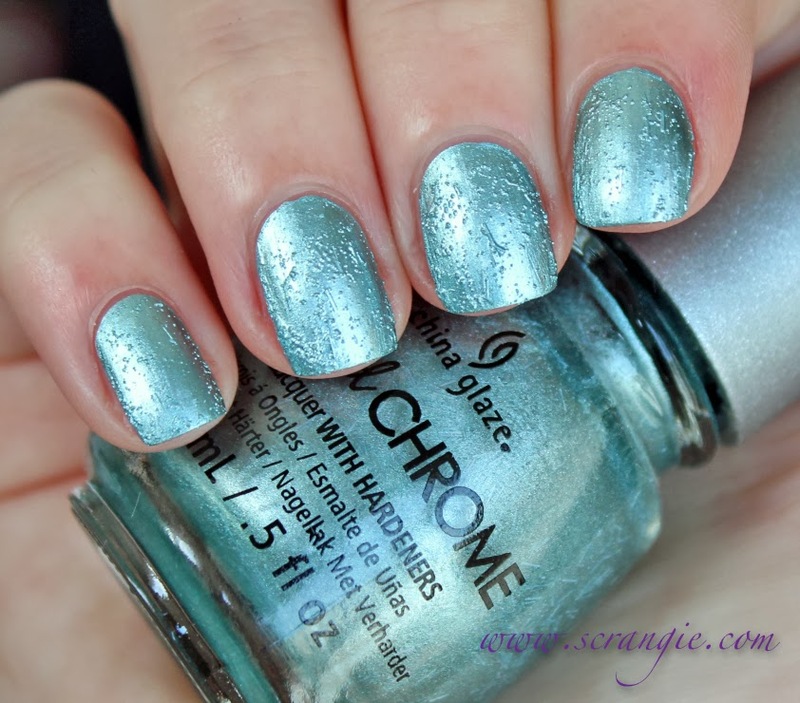 They have a true chrome finish (think China Glaze's Khrome collection from 2009) that becomes reflective when dry. They have some sandy grit like other sand/textured finish polishes, but they also contain white matte bar glitter for extra texture. They dry almost immediately. I'm not quite sure how I feel about these yet. 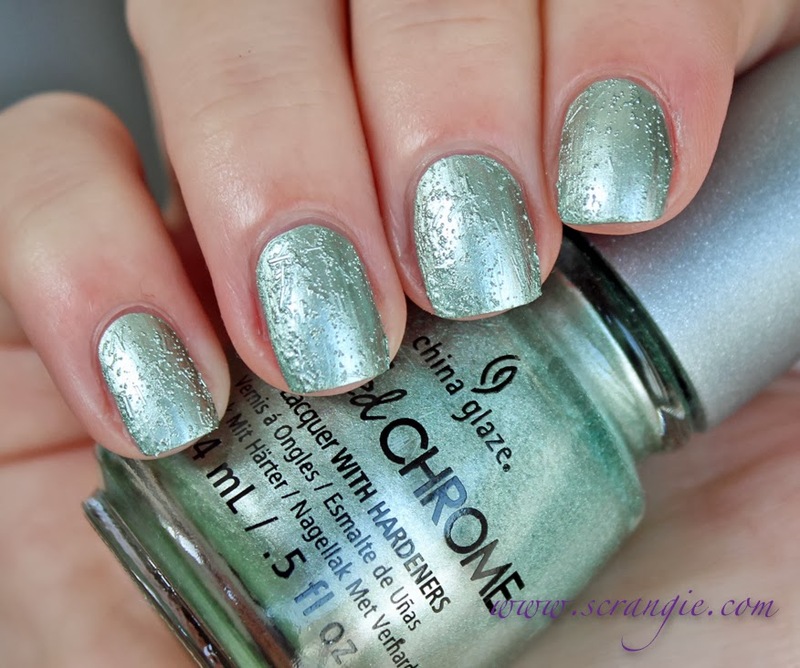 My gut reaction was, "oh, lumpy-looking chromes.... okay," but they're growing on me. To tell you the truth, I was expecting them to crinkle up almost like a crackle polish as they dried, so the grit texture was a bit of a surprise to me. Still, it's a unique idea that I haven't seen done before, so that's pretty cool. Good formula at least. The top one is the only one that really looks 'crinkled' because it has more texture. Do you think you used more coats on that one? I also expected them to crinke up, don't know why ;) And I also don't know how to feel about this collection, but I think I'll pass on this.. Just not my opinion of how polish should look. 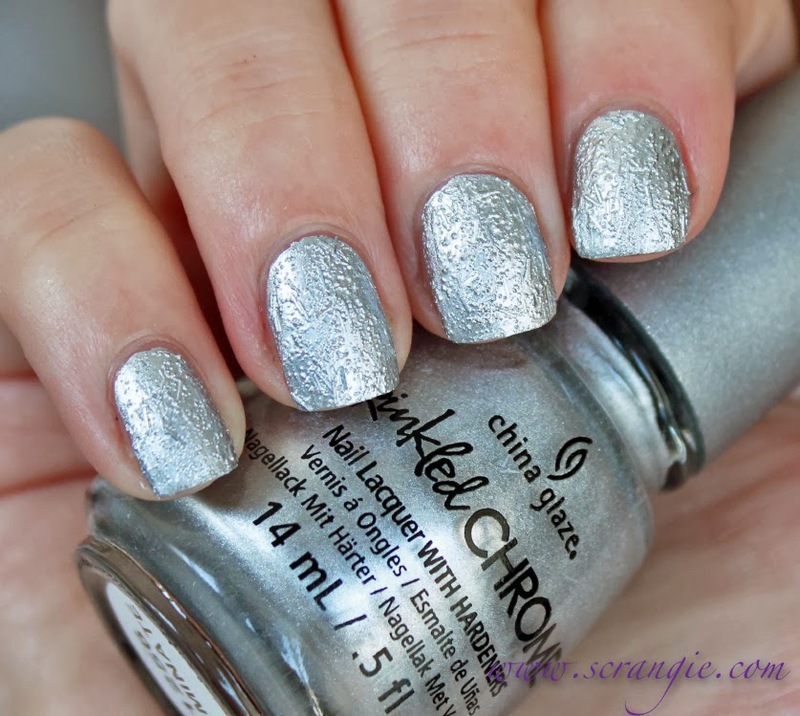 I think I like your idea of the polish crinkling up like a crackle better than the "texture" of the glitter. Overall the colour selection is nice but I would have preferred a true chrome collection instead of a textured chrome one. I kind of like them! I have been really, really skeptical about these, but surprisingly they look rather nice on your pictures. Thanks for the swatches! Can't tell if I like these..... I'll check them out at the store LOL. Thanks for the beautiful swatches! I was thinking the same thing. It looks like there are bubbles and cotton strings in the polish. No me gusta. PERFECT description. Sadly. *lol* If I finished my manicure and it looked like that, I'd be bent as all get out! Truth be told, there was never a second when the crackle polishes called my name either - for much the same reason. I love effect polishes, but not if the effect is "polished my nails in the dark, while drunk, and then immediately did the laundry. Ugh! 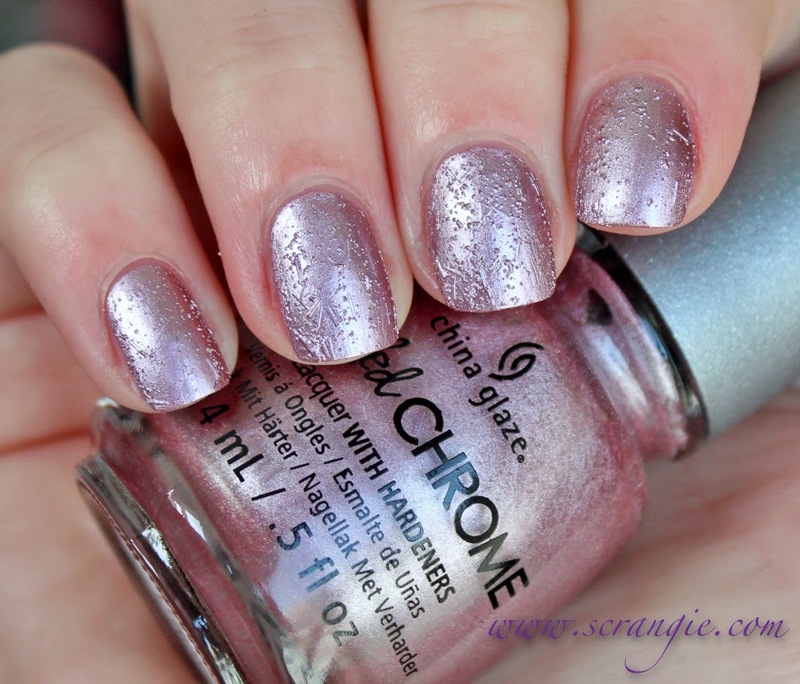 Yep, looks like your polish had a bad reaction to your basecoat and topcoat. What were CG even THINKING? I love Aluminate, love it. I don't need the rest. It's certainly interesting though. Essie and China Glaze and their creative takes on texture, lol. That's different! I had no idea what to expect with these when I heard of them. i love textured polish but these look like the formula started to bubble and then you went digging in your purse. not a fan at all.